This is fun. Facebook CEO Mark Zuckerberg made a cameo onstage at the 2010 TechCrunch awards—or "The Crunchies"—yesterday and had a nice little chat with TechCrunch founder Michael Arrington. And—typically—sketchy things about privacy were noted. "And then in the last 5 or 6 years, blogging has taken off in a huge way and all these different services that have people sharing all this information. People have really gotten comfortable not only sharing more information and different kinds, but more openly and with more people. That social norm is just something that's evolved over time. "So now, a lot of companies would be trapped by the conventions and their legacies of what they've built, doing a privacy change for 350 million users is not the type of thing that a lot of companies would do. But we viewed that as a really important thing, to always keep a beginner's mind and think: what would we do if we were starting the company now, and starting the site now, and we decided that these would be the social norms now and we just went for it." And 'went for it,' he did, taking us into a new age of information in which everybody and anybody's is up for grabs, and out in the open. Facebook used to be like walking around a locker room with a towel on; deck changes were perfectly appropriate, as is the discomfort of maximum exposure, but for the most part, none of us had to worry about having anything we didn't want in plain view, just hanging out there. And then the big kids came in, ripped our towels off, and gave us rat-tails. Is it someone's choice to be on Facebook? Absolutely. But were users who were assured of their privacy time and time again after investing all that information into it right to feel violated when that information of theirs—used to build a company on—went from being unmolested to fully exposed? Yeah, they pretty much were. Even better is when ReadWriteWeb's Marshall Kirkpatrick points out Zuckerberg's doublespeak, especially in regards to what he told them two years ago, when he explained that privacy controls are the "vectors around which Facebook operates." 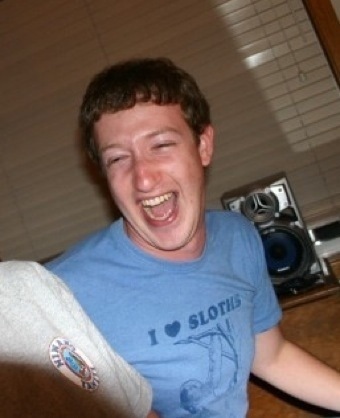 At the end of the day, the social norms were ones Zuckerberg created and shifted with his product. He's in control the entire time, and the more information that was given to and invested in it by individual users, the more control he had over what to do with it. His product, his power, his responsibility. we gave it to him. So, there's that.